Established in a historic two-story house tucked into the heart of the West End arts district, Wally Workman Gallery has a wonderful homey feel to it that benefits the mix of contemporary works on display at any given time. Committed to showcasing emerging talents in the field, exhibition artists are given the full artist treatment with hosted opening receptions and a month-long run of their work. 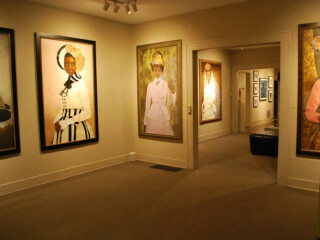 The gallery space is available for event rental, and works wonderfully for intimate receptions.